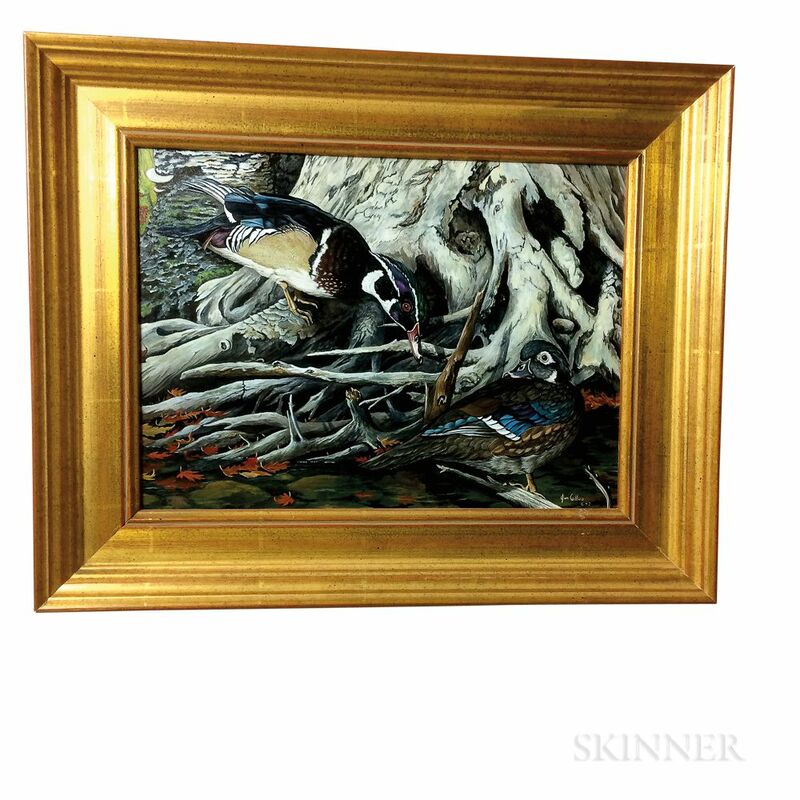 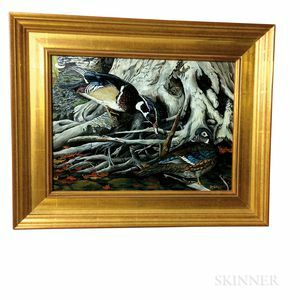 Framed Jim Collins (American, 20th Century) Oil on Board of Ducks, ht. 15 3/4, wd. 19 1/2 in.